Valfréjus is a small, quiet resort hidden amongst the wooded slopes of the Maurienne valley, close to the Italian border. It is modern and purpose built, it still manages to offer a traditional village atmosphere. What’s more, the accommodation is based just 15 minutes away from the A43 motorway, while it is a four hour train journey away from Paris. Valfréjus offers over 65km of pistes suitable for all levels of skier. Snowboarders, off-piste-enthusiasts and cross-country skiers are also catered for. While the skiing is the main attraction at Valfrejus, there are plenty of other activities to look forward to, including amazing restaurants, cafes and evening entertainment options. The resort boasts a majestically festive atmosphere and continues to attract high numbers of visitors. Valfrejus is based close to the Vanoise National Park, putting travellers in one of Europe’s most visually stunning regions. 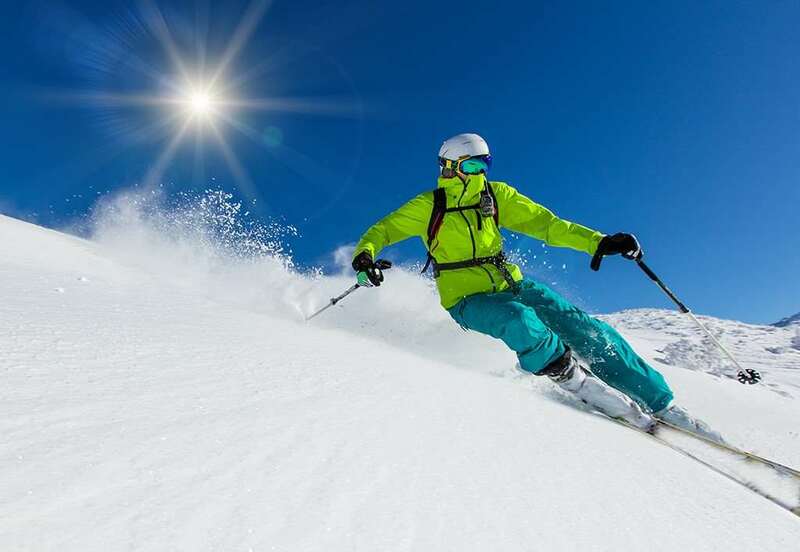 The ski season runs from December to April, and there are some amazing runs to suit everyone from beginners to experts. On top of this, all of the routes are perfectly maintained to ensure the best possible surface for skiers. 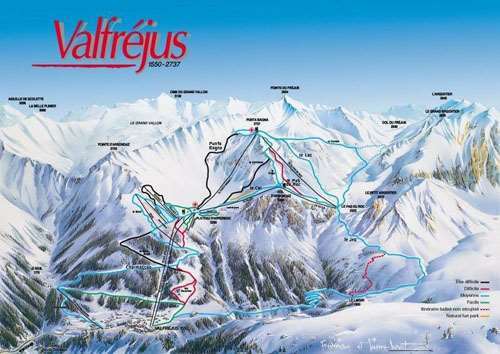 Many of the runs in Valfrejus are aimed at beginners, though there are plenty of other options for intermediates and experts. There are 10kms of cross country ski trails at the resort, along with a terrain park for snowboarders. There is a total of 23 pistes and the largest vertical drop is 1187m. The ski region is close to the Three Valleys, where there is an even wider selection of runs. Many of the routes boast incredible scenery and unforgettable downhill thrills. As one of the quieter resorts in France, Valfrejus boasts a very laid-back apres ski scene. Gourmand attracts large numbers of visitors, while the Javana and Bois Brule are other great options for a peaceful drink. In addition, skiers can look forward to relaxing in the local swimming pool and jacuzzi, while the sauna is the perfect place to warm up after a day on the snow. There is also an ice-skating rink and a tennis court for anyone wanting to stay active away from the slopes. The nearest airport to Valfresjus is Chambery, which is around 90 minutes away by car.